The Australian Institute of Marine Science (AIMS) and Boeing Australia have inked a five year partnership agreement to develop technologically innovative and commercially attractive solutions for collecting environmental data on the Great Barrier Reef. 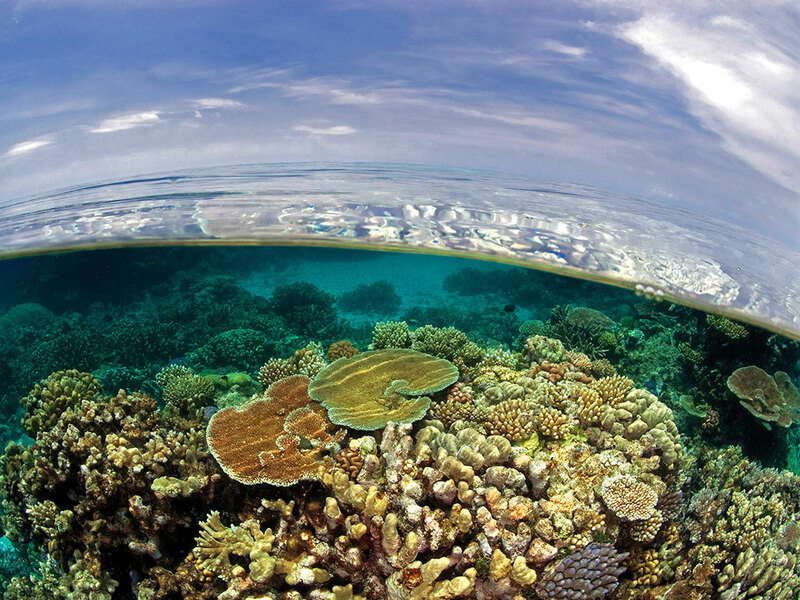 World’s largest aerospace company and Australia’s premiere marine research agency collaborate to improve environmental monitoring of the World Heritage-listed Great Barrier Reef. The joint effort will see AIMS and Boeing Australia combine the capabilities of satellites, unmanned airborne systems, and autonomous surface and underwater vehicles to create sophisticated systems that will assist in the collection of marine data in a way that is safe, quick, and affordable. Minister for Industry, Innovation and Science, Greg Hunt, said the development of technologies that will track and assess changes in the Great Barrier Reef was paramount to protecting the health of the Reef. “The recent bleaching event highlighted both the importance of ongoing monitoring and the challenges involved in doing so – with the Great Barrier Reef as large in size as Italy,” Mr Hunt said. He said the partnership was expected to deliver systems that will provide a big step forward in improving the quantity, quality and timeliness of environmental data. “We hope to be able to increase our understanding, and refine our solutions, to monitoring, managing and improving the health of our unique and iconic Great Barrier Reef,” Mr Hunt continued. AIMS CEO John Gunns said the Boeing-AIMS research will support Australia’s Reef 2050 Integrated Monitoring and Reporting Program and will be fully coordinated with the Commonwealth and Queensland governments’ efforts to monitor and protect the Great Barrier Reef. “With the Great Barrier Reef providing essential environmental, cultural and economic benefits to Australia, we need to understand how – and how quickly – the reef environment is changing,” Mr Gunn said.